Mystery Case Game - FunGames.com - Play fun free games. 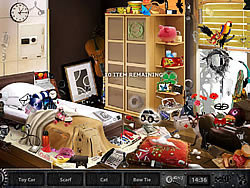 This is an hidden object fun game with multiple puzzles. Use the mouse cursor to click or drag objects. Press on the Hint button to gain additional help with finding clues.